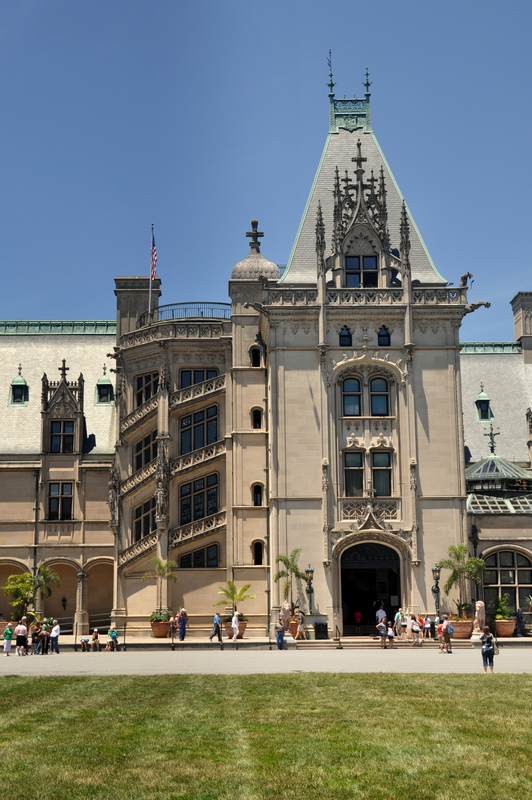 Today, the Biltmore entrance is located a stone’s throw from downtown Asheville, and less than one mile from Interstate 40, which runs from Barstow, CA to Wilmington, NC. I have done the entire drive, and it is my opinion that the most scenic stretch of I-40 is the 35 or so miles that wind through the Great Smoky Mountains, just 20 minutes west of Asheville. 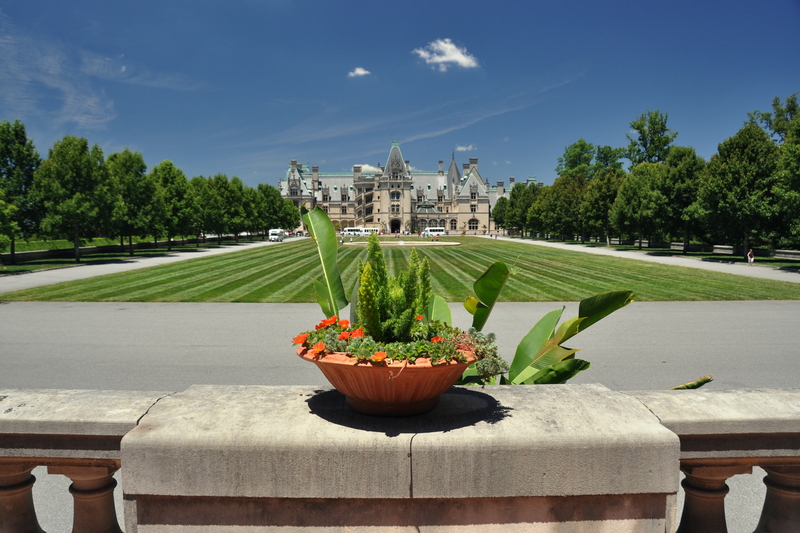 A visit to the Biltmore is a full-day (or longer!) affair, and makes for an expensive outing. Your single-day ticket costs $64 after tax, although parking is free. For $10 more, you can purchase a next-day return ticket. 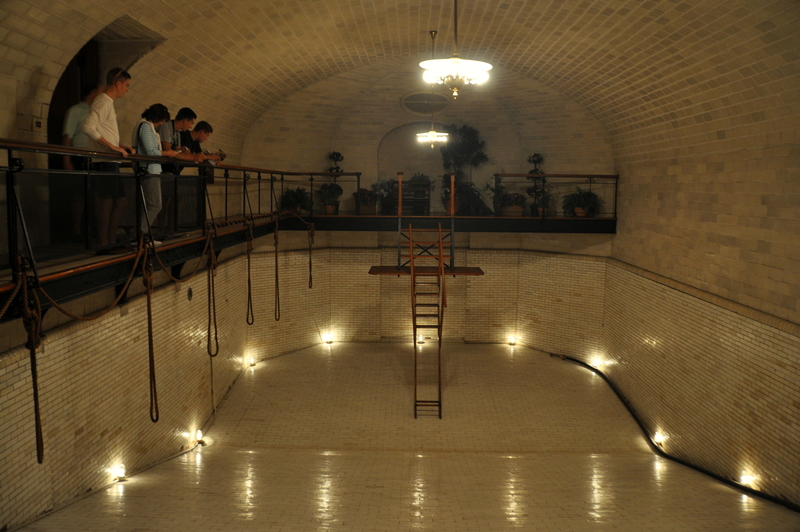 Guided tours cost extra, and sell out quickly. 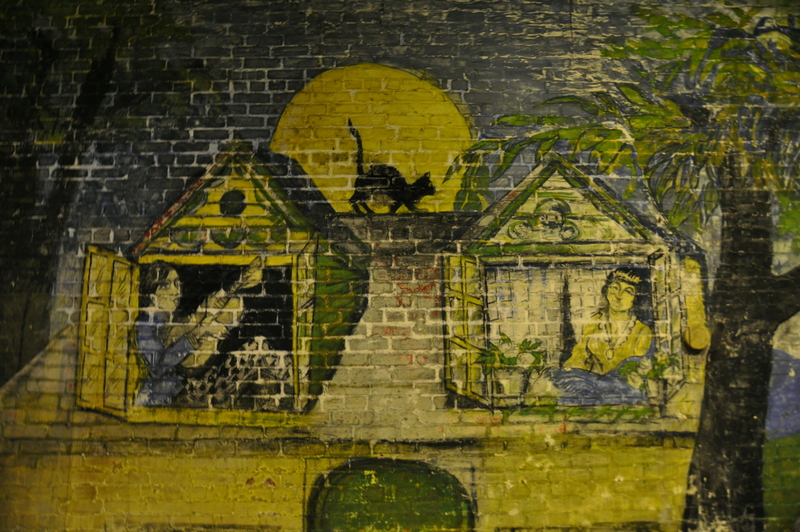 If the stars align during your visit (or if you plan ahead by purchasing tickets online), you can choose from an Upstairs-Downstairs tour, a Behind-the-Scenes tour, a Rooftop tour (seasonal), or a Legacy of the Land motor coach tour. I opted for a self-guided tour instead, which let me wander the grounds and tour the manor home at my own pace. It was a two-mile drive from the entrance gate to the visitor center, and another two miles from there to the main parking area. The old-growth forest that lines both sides of the access road is now part of the Pisgah National Forest, the first national forest in the United States. Birds chirped and squirrels scampered. The house is an eight-minute walk (or a free shuttle van ride) from the parking lot. I chose to walk, and the approach brought me to an Italian-style garden that offers a view of the house from across the sprawling lawn. Italianate fountains were set into a retaining wall, and a statue of the huntress Diana sat under a small canopy at the top of the hill above. Quite a view! My first order of business upon arrival to the house itself: lunch! 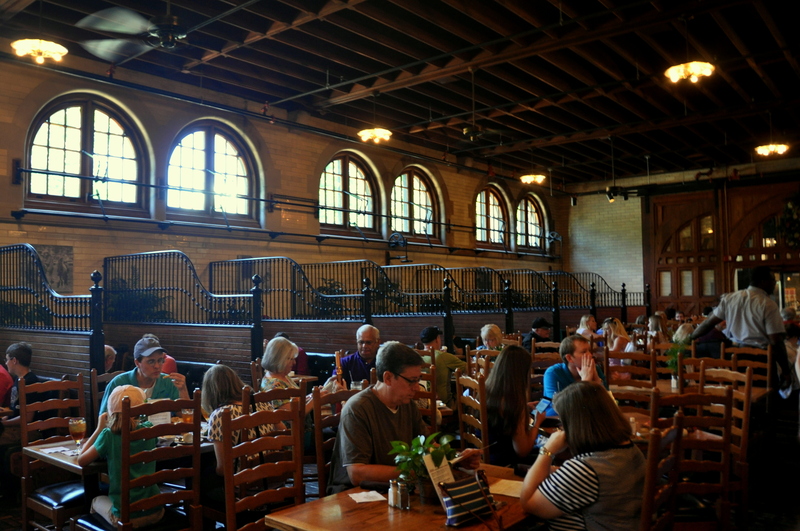 I ate at the Stable Café, which is exactly what it sounds like: horse stables-turned-restaurant. Great food and good service at high prices. 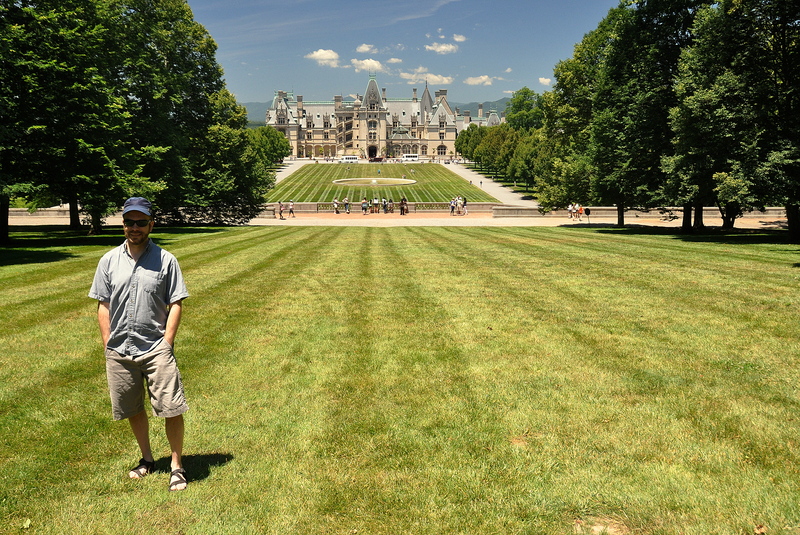 Despite arriving on a Thursday, however, I was taken aback by the crowds in and around Biltmore House. I won’t say it was like Disney, but it was on par with the tourist hordes at Versailles. Fortunately, once you pass the gift shops, restaurants, and main floor of the house itself, crowds thinned out dramatically. By 4 p.m., they disappeared completely. 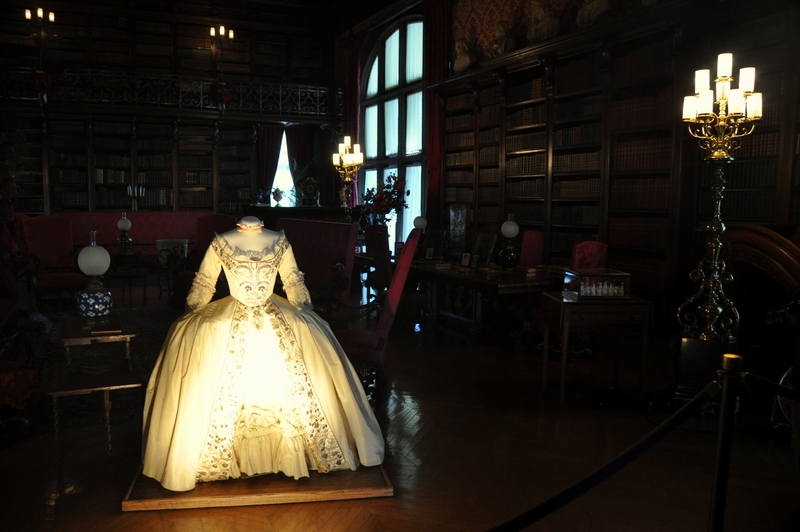 Carter’s dress was displayed in the Biltmore library. One of the most impressive rooms in the house, the library included Vanderbilt’s collection of over 23,000 books, as well as a chess set that once belonged to Napoleon. 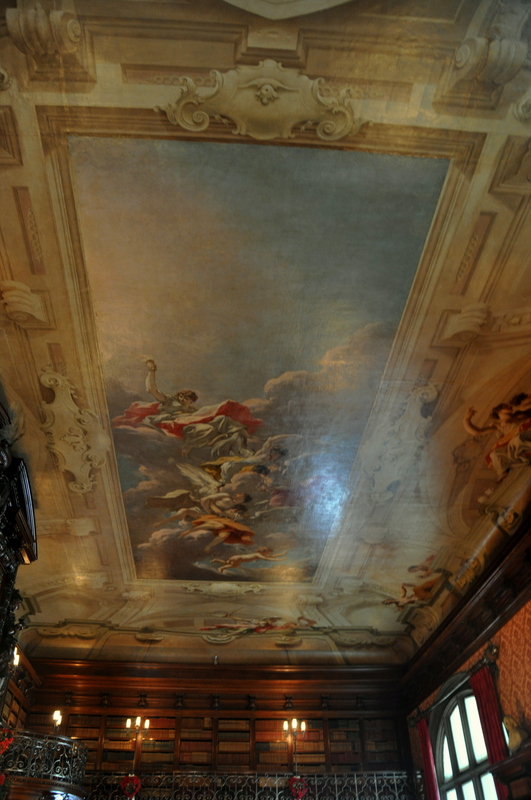 The ceiling was adorned with the Baroque fresco “The Chariot of Aurora,” which was painted by Giovanni Pellegrini for the Pisani Palace in Venice, Italy! How, I wonder, did workers un-plaster the ceiling and transport it across the Atlantic and into the mountains of North Carolina? 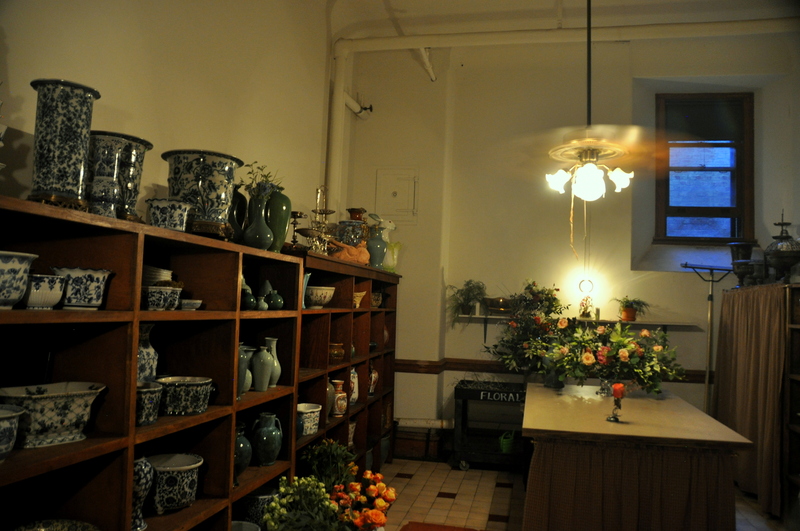 As impressive as the library may be, the most memorable room is surely the banquet hall. Here, a 38-person dining table sits under chandeliers and fronts triple fireplaces, between which hang Flemish tapestries. 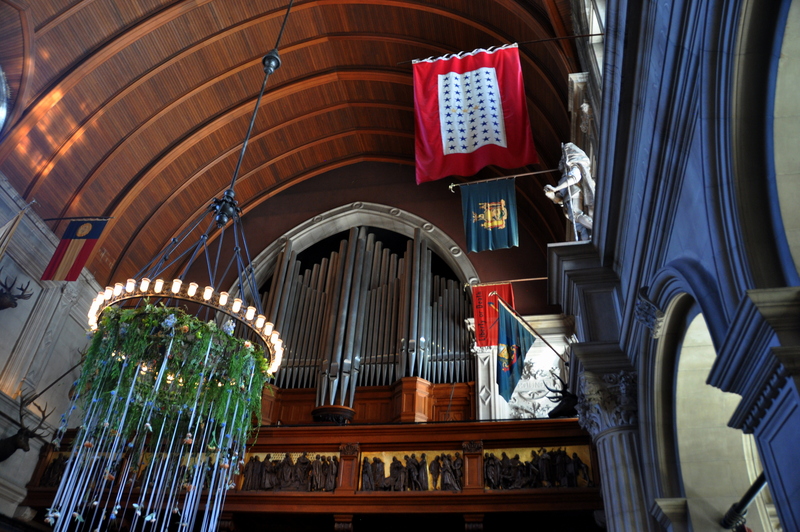 Look up to find the well-named Skinner pipe organ. Did I mention that the banquet hall is as tall as a seven-story building? Finally, the gardens! 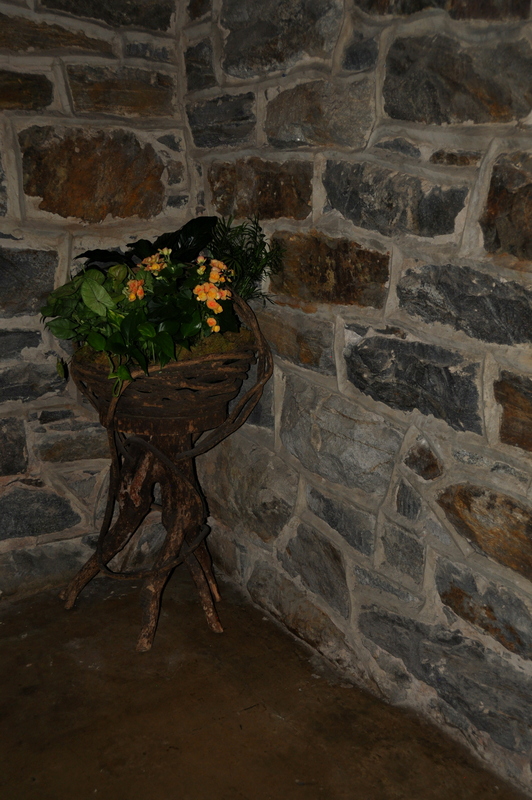 I stayed until 7 p.m. wandering the trails and pathways of the Biltmore’s themed gardens. 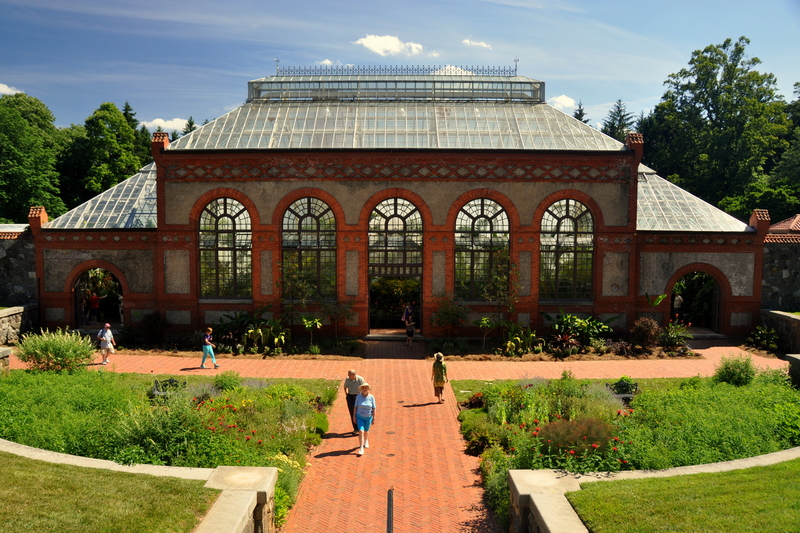 A walled garden, like something out of George Washington’s Mount Vernon, leads to a tropical Conservatory. 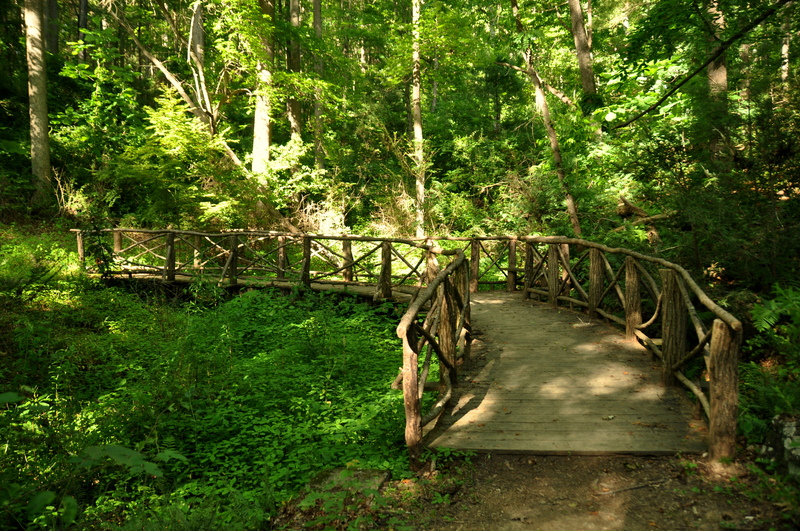 An azalea garden is surrounded by woods that feature bamboo trees, dawn redwoods, and Japanese conifers. A bass pond drains to a man-made waterfall. A meadow trail is dotted with yellow wildflowers that remind me of my time hiking across California. 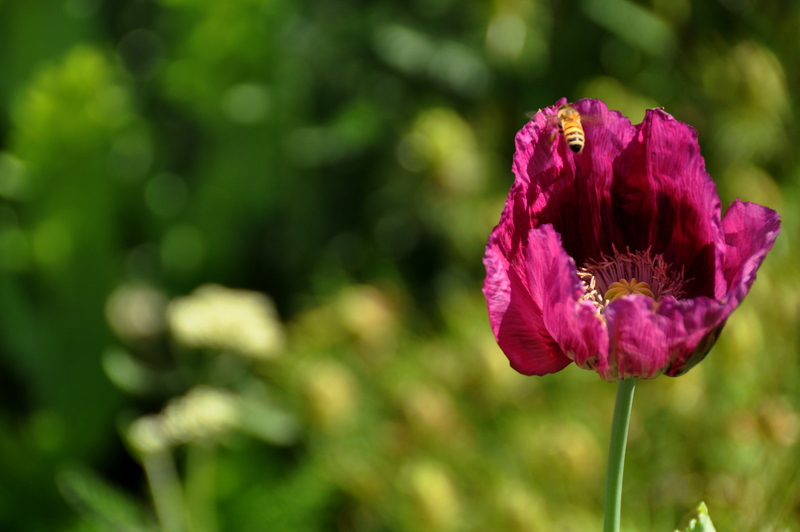 All in all, over 500 kinds of shrubs, trees, and ornamental plants comprise the impressive gardens. I surely logged three miles of walking that day, and I snapped hundreds of photos. When I finally made it back to the Italian garden next to Biltmore House, I was worried that I’d be locked in. Alas, I was not the last car in the parking lot. 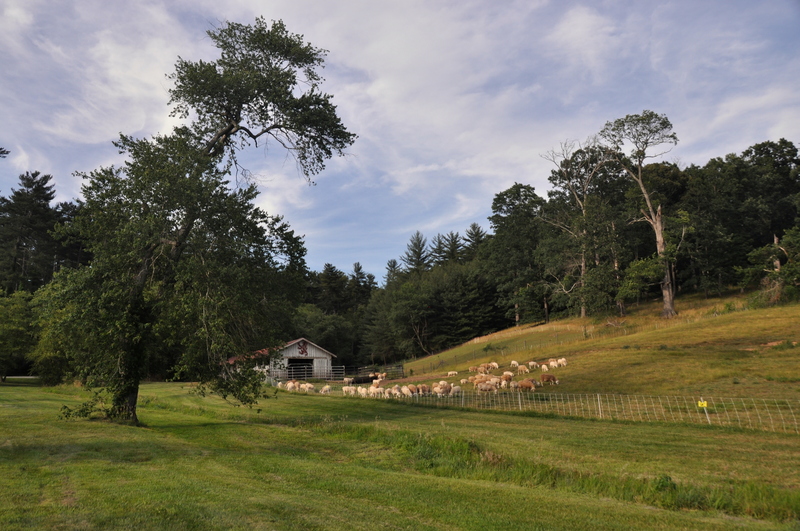 Access to the exit takes visitors the long way around, passing along the shore of the French Broad River (gorgeous at sunset), past a sheep paddock, and below Deerpark, a seasonal restaurant and home of the site’s carriage barn. An even longer loop would have taken me to the aforementioned Antler Hill, which I skipped because of the time. Regrettably so, as Antler Hill features a renowned winery. Tastings are included with your Biltmore ticket. In my best Homer Simpson voice: D’oh! The Biltmore is one of those places that can be enjoyed in all seasons. Annual passes are available. Spring features tulips, summer has longer operating hour, autumn boasts changing colors. I am most interested in returning during the winter, when the house is decorated in fine style for the holidays. And a light dusting of snow over the garden pathways? Enchanting! Interesting post, Scott. I have never been to Biltmore, but have always wanted to see it. Of course it is a bit more of a trip for me than for you. Next week I will be visiting again Stan Hywett Hall in Akron, the former home of the founder of Goodyear Tire. It’s the largest mansion in Ohio, and is very impressive, but it pales in comparison with Biltmore. Thanks, Bill! I hope you’ll share pics of your own day trip. Free wine and you didn’t partake?! Double D’oh!! At some point I’d like to go. Not crazy about the pricing though. Your post is quite eloquent, informative, and interesting. I feel as though I’ve already been. So maybe there’s no need to save up $64! Haha, Thanks! You’re pretty darn good at that photography stuff!